TL; DR: For Dave Shworan, a simple search for a decent and free online guest book led to two decades of providing affordable, usable tools for web hosting, site building, and domain registration. His company, Bravenet, specializes in valuable tools that help members create visually appealing and user-friendly websites. 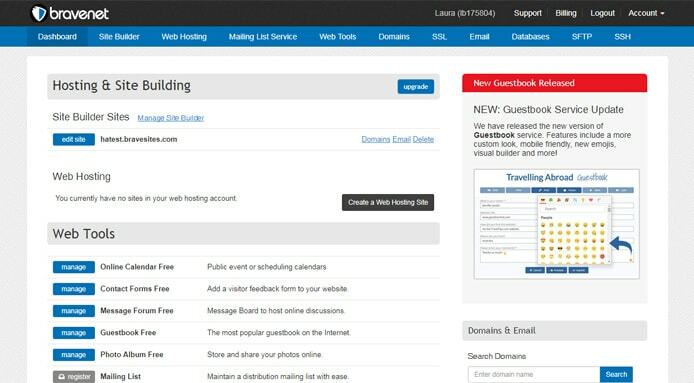 From calendars and contact forms to guest books and photo galleries, Bravenet has supplied more than 15 million users with features and functionality to grow their web presence without technical expertise. In 1997, webmaster hobbyists Dave Shworan and Brad Knorr sought to create a website for a group to which they belonged. Dave, a dentist, and Brad, a florist, struggled to find a usable online guest book that would enable users to leave a message for the group. The few available services were either too complicated to install, too limited in functionality, or too expensive. The pair began building their own interactive and customizable tools, launching Bravenet in 1997. The name came from two inspirations: the popular movie Braveheart and “Brad and Dave on the Net.” Since then, Bravenet has grown to offer a complete portfolio of services that include web hosting, domain registration, email marketing, and a website builder, in addition to an ever-growing suite of embeddable tools. President and CEO Dave Shworan built Bravenet from an unconventional background — even for the tech industry. Bravenet moved beyond free, embeddable website components in the development of the Bravenet Builder, a drag-and-drop website builder that further makes web design accessible to rookie site owners. 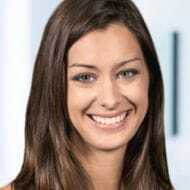 Drag-and-drop editor: Although Bravenet offers design services to plan and build websites for members, Melanie said most prefer the site builder’s functionality. “You don’t need to do a lot of work because it’s so easy to use,” she said. Responsive themes: The Bravenet site builder boasts nearly 150 themes, all of which include responsive designs for mobile devices. Custom domains: After selecting a theme, which users can change at any time, they can choose to host the site as either a Bravenet subdomain for free or upgrade to a Pro plan to register a domain name. Photo galleries and stock images: The Bravenet site enables users to customize themes using professional stock photography and the company’s photo galleries and drag-and-drop media manager. Social media and eCommerce integrations: Bravenet members can seamlessly integrate their Facebook, Twitter, or Instagram accounts to their website, in addition to adding an online store and shopping cart with Ecwid. SEO and analytics: Pro members can access and modify SEO settings, including keywords, the robots.txt file, redirects, and the sitemap through the Bravenet site builder, as well as an easy integration with a Google Analytics account. According to Melanie, the Bravenet team receives lots of positive feedback from its main audience of small business owners and individual professionals for the site builder, particularly for usability and drag-and-drop functionality. The platform has undergone what Dave called a “massive evolution” to keep up with user demand and the popularity of the full-service platform. Both types of hosting accounts come with site analytics, load-balanced servers, spam and virus protection, server and connection monitoring, and daily backups. Dave, who remains President and CEO of Bravenet, and the rest of the team continues to develop and improve the company’s roster of free tools that add interactivity and usability to members’ websites, according to Melanie: “There has always been quite a portfolio of tools that we’ve offered,” she said. Guest books: The tool that started it all, guest books can be configured with various colors, fonts, and layouts, among other settings to allow visitors to publicly comment on the website. Blogs and journals: Bravenet’s publishing platform seamlessly integrates directly into the site builder. Members can create posts, organize them into categories, manage RSS feeds, automatically share to social media, and import content from WordPress. Message boards and forums: Bravenet members can build an online community in which users and site administrators can interact and converse freely. In addition to usage statistics, the forums include code support and IP banning. Traffic counters: Monitor traffic with in-depth statistics. Users can choose from hundreds of counters to display on their website or simply rely on the graphical backend interface. Photo albums: In addition to allowing users to designate albums as public or private, the Bravenet photo gallery system also gives the option for site visitors to submit their own photos. Calendars: Display appointments and events in a variety of formats with Bravenet’s online calendar system, which also lets users share details and send reminders. Beyond usability, Melanie said the company created the suite of services and interactions to save members time and money when building their website. In addition to a new design for the Bravenet company website expected to debut in the next few months, Melanie said developers are constantly working on improving features. Updates have most recently come to the guest books, email marketing, embeddable maps, calendars, Instagram integration, and Password Protect services since the start of 2017. Tools hosted within Bravenet members’ account dashboard routinely see updates throughout the year. Bravenet’s array of services, from pure web hosting to mix-and-match components and a full-service site builder, is meant to appeal to customers of all technical abilities, according to Dave. Dave mentioned Bravenet Builder, co-branded as Jigsy, is also available as a white-label product for other hosting companies and registrars looking to provide drag-and-drop publishing functionality to customers. Despite outgrowing several office spaces throughout 20 years of existence, Bravenet headquarters have remained on Vancouver Island, British Columbia. Interestingly, the Canadian province’s capital city, Victoria, is located on the island, while the city of Vancouver is on the mainland, to the east. According to Melanie, the fast-paced work environment hasn’t put a damper on company camaraderie, describing a Christmas in July event Dave recently organized — complete with a company-wide gift exchange.